New Delhi, April 3 (IANS) Singer Akriti Kakar wants to sing more for Punjabi films. New Delhi, April 3 (IANS) She is just a decade old in southern showbiz, but Rakul Preet Singh has managed to carve a niche for herself. The actress feels there has been a change in the Telugu film industry as it is no more patriarchal. 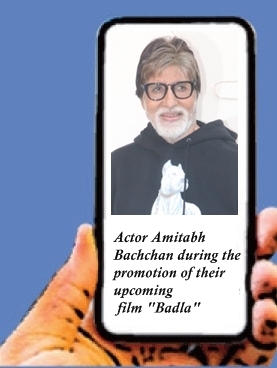 Chennai, April 3 (IANS) Actors Amitabh Bachchan and Ramya Krishnan, who had previously worked together in Hindi action comedy "Bade Miyan Chote Miyan", have been paired once again in upcoming Tamil film "Uyarntha Manithan". Hyderabad, April 2 (IANS) A Hyderabad court on Tuesday sentenced veteran Telugu actor-producer M. Mohan Babu to one year imprisonment in a cheque bounce case.